We live in a dualistic world, yet the duality we accept as the real world is illusion. We are one. All of us. And we are one with our environment - the space we share with other beings. The Japanese call this unified concept "Esho Funi", translated as The Oneness of Life and Environment. Our lives touch the lives of others. Our reaction to others creates reaction in them and so forth. Our karma is active in our daily lives and influences the lives of those around us. An example: We all know someone who always complains. Complain is their default life setting. We avoid that person, don't enjoy their company much and come away from meetings with them feeling drained and not quite as happy as we were before. The Complainer sees a world in which people don't want to be around them - and they complain about that. They also always seem to have friends who need to leave early or have to cut telephone calls short. Their life state has a direct impact on their environment. We are one with our environment. Change within the self creates a ripple effect in the environment. The Complainer starts chanting. Or attends a seminar. They decide to create a more positive and loving perspective of life. Their environment begins to change. Friends notice the change, spend more time with them and they find that they are feeling better about the world they live in. The water pays no mind to the stone that is cast into it, or the ripples that form. It makes no judgement. Life is like that. We can cast helpful or less helpful stones. The choice is ours. For me, Esho Funi has been about integration. About seeing the influence I have on life and it has on me, and to make choices about the stone I cast into the water. You can't change others - only yourself. Change begins with us and then the change is manifest in our environment. I've known for a long time that you cannot change other people, and it was just one of the many things that made perfect sense to me when I was introduced to the practice. Isn't practice about learning how to live without assurances? Isn't everything always changing? Don't we want to avoid staying on any idea or feeling, even those suggesting the impossibility of affecting others, even perfect sense? Great post! Do you think that the Zen Koan: "if a tree falls and no one is near, does it make a sound?" is an attempt to help people realise the oneness of life and environment? I never thought of it that way before. Most interesting. Do you reckon that Esho Funi is like 'the body of Christ' - one unified body? I haven't tried Tumblr. Why do you ask? Is it better than Blogger? It's kind of between Blogger and Twitter. People can't comment on your posts, though. It's a bit less 'serious' than Blogger. In the mundane sense those who chant with absolute faith and teach others to the best of their ability are the Reward Body of the Buddha, not inferior to Amida, Dainichi, or Yakushi Buddhas. 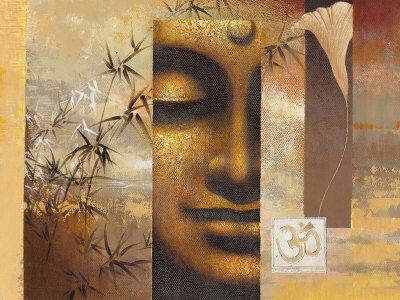 In the highest sense we are one with the Original Eternal Buddha, possessing Three Bodies in one.